The bankscreen file holds functions and procedures that are used in the runescape bank screen. Constants that represent the the quick deposit buttons. Constants that represent the bank buttons. Constants that represent different withdraw options. A type that stores the bankScreen interface properties. A variable through which scripters can access the TRSBankScreen type methods. The following methods should be called through the bankScreen variable. Returns true if the bankScreen interface is open. The optional waitTime parameter (default = 0) is the maximum time (in milliseconds) it will keep looking. Returns true if the bankScreen is successfully closed. It uses the ESC key by default, but the escape parameter can be set to false to close via the mouse. Returns a TBoxArray of all of the bank slot boxes. Returns a TBox of the bank slot slot . The layout of the slots can be seen here. 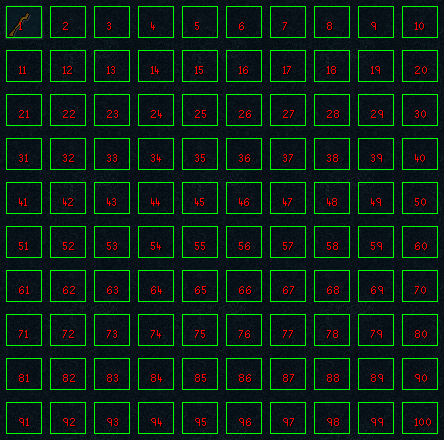 Returns a TBoxArray of all of the backpack slots in the bank interface. Returns the TBox of the desired backpack slot in the bank interface. Pack slots start at the top left at 1 and count across the columns. Returns the number of items in the bankscreen’s pack. Returns true if an item is in the backpack slot slot inside the bankscreen interface. Returns true if the backpack inside the bankscreen interface is full. Returns true if the backpack inside the bankscreen interface is empty. Return the number of backpack slots that contain the DTM dtm inside the bank screen interface. Return the number of backpack slots that contain the bitmap bmp inside the bank screen interface. Returns true if the bankScreen tab is the currently active tab. Returns true if it successfully opens the bank tab tab . Scrolls the bankscreen up to the top. Returns true if it clicks the quick deposit button depositType . Valid depositType constants are located at the top of this page. Returns true if it clicks the bank button button . If useKey is set to true (default = true) it will use the keyboard, else it will click the button with the mouse. Vaild button constants are located at the top of this page. Returns the bank slot which the TPoint pnt fall within. If it doesn’t fall within any slot, it returns -1. Returns true if it enters the amount amount when depositing or withdrawing a custom amount of an item. It will keep trying until successful or waitTime is reached. Rturns true if it deposits items from the backpack into the bank. It can deposit all items, or specific slots and amounts. It can also deposit each item one by one. amounts : The amounts of the slots to deposit. Set to -1 to deposit all. Deposits all of every item by default. Returns true if items are withdrawn from the bank. amount : The amount to withdraw. This can be any number, or one of the contants at the top of this page. Returns true if items are withdrawn from the bank. This overload takes a DTM instead of an array of slots. Returns true if items are withdrawn from the bank. This overload takes a bitmap instead of an array of slots or a DTM. Returns true if items are withdrawn from the bank. This overload uses the ‘string match’ method for the mouseOverText. Returns true if items are withdrawn from the bank. This overload takes a DTM and also uses the string match method. It is essentially a combination of overload 1 and 3. Returns true if the item item is searched for and found. Items that are found appear in bank slot 1.